ASUS Chromebook C423 is the simple way to boost your productivity and have more fun on the move - all day and every day. This ultraportable and lightweight 14-inch Chromebook is powered by up to a quad-core Intel® processor, and gives you the freedom of up to 10 hours battery life1. 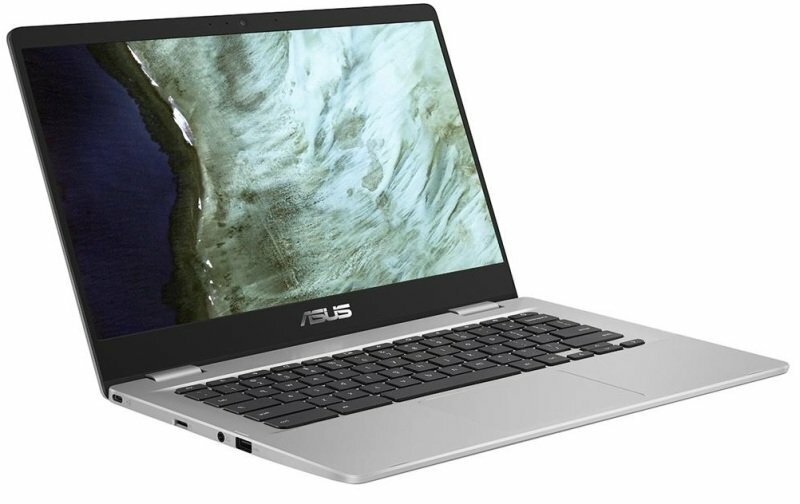 It's also the first ASUS Chromebook to feature a NanoEdge design, which gives you a big screen in a compact chassis for easier multitasking and more immersive entertainment. Preloaded with the best of Google, ASUS Chromebook C423 is your gateway to the immense variety of apps on the Google Play Store2 for work or play. With its speedy performance, robust security and convenient features, it's not only perfect for students - it's ideal for anyone who's always on the go! With its aluminum-finished lid, thin 16.1mm profile and overall weight of just 1.2kg, ASUS Chromebook C423 has a distinctively premium look and feel. Designed for effortless mobility, it's your take-anywhere companion that's always ready to go wherever your day takes you! The stunning 14-inch up to FHD NanoEdge display has an ultra-narrow 5.8mm bezel, and features a matte anti-glare coating3 to reduce annoying reflections. The result is a laptop with an impressive 78% screen-to-body ratio that minimizes size while helping you maximize productivity - so you can see and do more, while carrying less! The optional 10-point multitouch display on ASUS Chromebook C423 makes your experience even more intuitive. The display is also designed to be more accurate and responsive than conventional touchscreens.